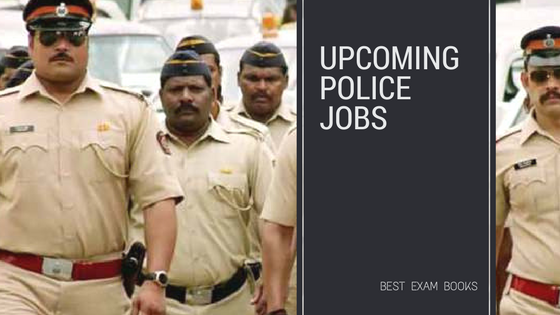 If you have a childhood dream to become a Police officer and looking for Police Jobs and searching for the Police vacancy 2019, you have to clear anyone Police Exam out of opportunities given below. Indian Police Department can be joined by several ways. Selection of Central Police Services is done by UPSC and selection of State Police is done by State Public Service Commission. Few jobs are filled by Staff Selection Commission too. Through state PSC, you would direct become gazetted officer after your training whereas SSC jobs are non-gazetted and you would wait for 1 or 2 promotions (if you are in group B) to become a gazetted officer. SSC makes recruitments for Group B, C & D Posts. You need to clear civil services exams to become IPS officer. Apart from clearing UPSC, a candidate of state cadre police service can also become IPS after prescribed promotion. This will be the best career opportunity. State Public Service Commission is another exam to join state police jobs. Generally, a combined competitive examination for all State Civil Services is held to fill all openings all over India. However, in the case of Union Territory, this responsibility of filling up posts of SPS is borne by the Union Public Service Commission. You can appear for the Civil Services Examination for Group-B Services. The candidates selected through State PCS are usually posted as Deputy Superintendents of Police (Deputy SP) or Asstt. Commissioner of Police (ACP). They may be nominated to the IPS after (8-15 years) prescribed satisfactory service. State Police Services also recruits Assistant Sub-Inspector (ASI), Sub-Inspector (SI) and Inspectors of Police in a category of Subordinate Police Services. The exam scheme differs from State to State, but the examination is similar which papers on language, General Studies and optional. Generally, these exams are known as State Subordinate Service examination. Paramilitary forces is not an official term but they are used to refer to the following two forces. Earlier there were seven names under this category but in March 2011, Ministry of Home Affairs adopted a uniform nomenclature of Central Armed Police Forces forgiven five forces. Special as well as Elite Force, no direct recruitment, only excellent soldiers of military or paramilitary are picked for it. Check for NSG website for age limits and physical standards required. Commonly known as SPG and its task is to protect present and former Prime Minister and their family. No direct recruitment is done for SPG. Selection for operations of SPG is purely done on deputation either from the Indian Police Service (IPS), Central Industrial Security Force (CISF), Border Security Force (BSF) and Central Reserve Police Force (CRPF). It’s a deputation post, an officer is placed for one year only and after completion of tenure of one year, the officer will be sent back to original post. The selection process is tough and can be checked from the official website. Though we try to update all new application form notification, but readers are advised to visit official website time by time. Don't forget to comment, the name of Police Exam in which you are appearing this year to serve the country by joining Police Jobs. 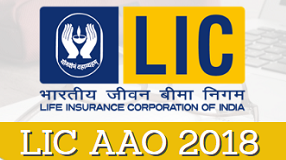 Apply for LIC AAO exam with link given here. Insurance Sector is having largest opportunity in India. If you have planned to join this sector, start your preparation with best books for LIC AAO exam 2018. You don’t need to have collection of books. One good book which covers one particular section will be sufficient. Graduation or Post Graduation in respective discipline. Always perfect practice can make us perfect. Therefore, we should plan our practice session topic wise. Each section should be given equal importance and should be practiced separately to increase accuracy and speed. If we check LIC AAO exam pattern, we can understand our study plan. Before you select any book for reasoning section, you should go through syllabus to understand topics and sub topics. Note: Syllabus is based on last year papers. No fixed syllabus gets issued with the notification. You should have one basic book to prepare resoning part of competitive exams. May select any one out of given below. In Q.T. section, following table can be taken for guidance but it is not fixed or final format. Paper pattern is strictly decided by the exam conducting body and may vary from the following. Aspirants are guided to check previous year papers and they will find almost similar distribution of questions. Select any one book as per your requirement and start preparing for exam. This section is very unpredictable for those who are not habitual of reading newspaper and very easy for those who regularly update themselves with information of their surroundings. However, basic topics which should be covered by you is given below. MS Word, MS Excel, etc. Click to read about SSC, Railway Exams and other competitive exams. Don’t forget to share your favourite book name in comment section.